Every gambler wants to win big, but most also know that there’s no real thrill without the possibility of loss, too. At the same time, most of us don’t want to endure too much risk: maybe you’re on a tight gambling budget, or perhaps you just get nervous every time you lose a couple bets in a row. Luckily, there are casino games out there that offer players a lowered risk of losing money. 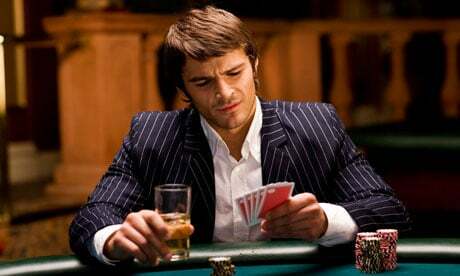 What exactly that means is different for every player; some of these games give gamblers the opportunity to win in the long run, others have occasional opportunities where players have the advantage, and still others are designed in such a way that casual gamblers can play them without much risk of losing big on a given night. 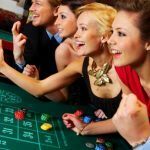 Let’s take a look at casino games that fit into each of these categories, allowing you to find one that offers exactly what you’re looking for. Before we talk about specific games, let’s talk about whether online casinos or traditional brick-and-mortar establishments are better deals for the gambler who doesn’t want to risk losing big. Remember that in almost all cases, the games and the odds of winning will be the same both live and on the Internet, so we need to look at other factors when making our decision. The biggest difference between online casinos and their land-based counterparts is the fact that online sites will allow you to play at much lower stakes than you would have to in a traditional casino. This is especially important when it comes to casino games where you won’t have a long-term edge over the house. 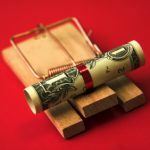 In these cases, the best way to reduce your risk is by betting less money, and that’s something that online gambling usually allows you to do. That means that in most cases, playing online is the way to go if you want to reduce your risk of losing big. That doesn’t mean there are never times where a live casino isn’t the better bet, but we’ll talk about those exceptions below. While this might seem obvious, the best way to reduce your risk of losing is to play a game where you expect to win! Most casino games are designed to make the casino money in the long run, but there are a few games where players can reasonably expect to win if they use the proper strategies and have a large enough bankroll to absorb short-term variance. The most famous of these games is, without a doubt, poker. If you’re a skilled poker player, you’ll have an advantage over your opponents, which (assuming you’re good enough to beat the rake as well) will ultimately lead to profits for you. The casinos don’t even mind: you’re playing against other gamblers, not them, after all. Being a serious poker player does take a serious bankroll, though. For a typical no-limit cash game, most experts recommend having a bankroll equal to 30 or more buy-ins at the level you’re playing if you want to be reasonably certain that you can absorb a run of bad luck. That means for a $1/$2 No Limit game with a $200 minimum buy-in, you’ll want to have $6,000 in your bankroll. 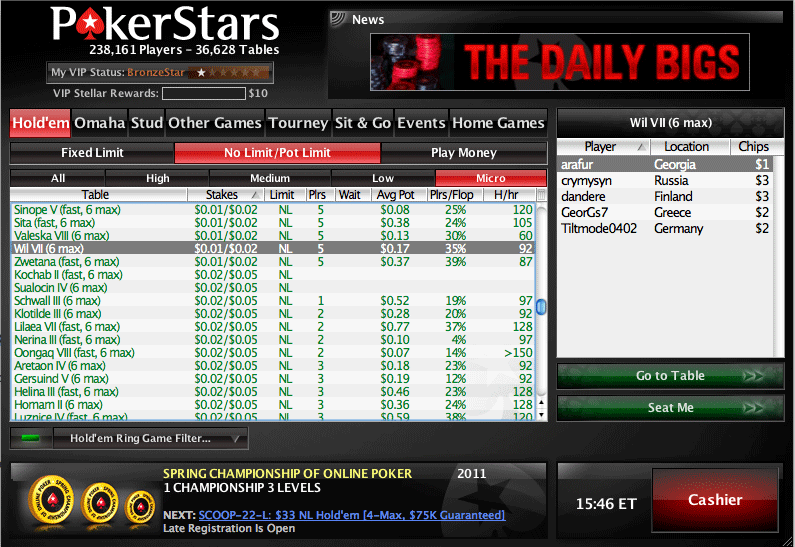 Of course, online poker runs stakes as low as $0.01/$0.02, meaning you might get away with just $60 or so instead! How much can you win playing poker? Well, that depends on how dominant you are over your opponents at your current level. As they say, any win rate is a good one in poker, but note that only truly great players (relative to their opponents) will win 10 big blinds or more per 100 hands they play. But there are also other games that can be turned into long-term winners besides poker. Almost everyone has heard of card counting in blackjack, which allows the player to have an advantage by keeping track of which cards are remaining in the shoe, and then betting more when the rest of the cards are to the player’s advantage. Now, that advantage won’t be huge: anything over a 1 percent positive expectation is considered amazing in the world of card counting. The upshot is that the variance here is huge, with some experts suggesting that professional card counters who want to keep their risk of ruin low have a bankroll of 1,000 times their minimum bet. It’s also important to remember that blackjack is only beatable if you can count cards, which means you need a real shoe that is being depleted during a game. That means this won’t work online (where a new shoe is generated for each hand) or in casinos that utilize automatic shufflers. It should also be noted that live casinos watch for card counters and can ask you to leave if they think you are winning based on using this practice (or, for any reason they feel like, actually. The house is always right in this instance). And while card counting per se may not be technically illegal, using any kind of device to help you track cards most definitely is, and at least in Las Vegas, can even land you a jail sentence – that includes using an iPhone to track cards. 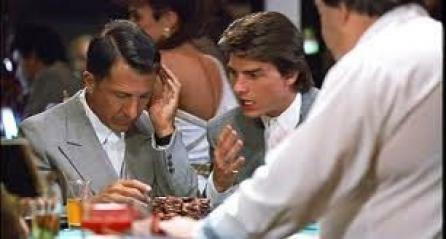 Using strategy cards sold by the casino is fine; but you’ll need to have a good memory. Remember: you may be, but casinos are not excited about any practice that gives players an edge. 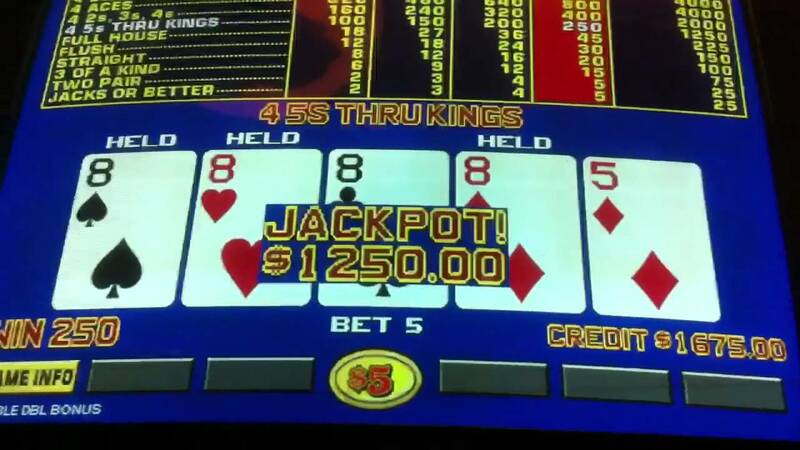 Another game that can offer long-term returns in the casino is video poker. There are some full-pay machines that allow players to have a small edge (less than 1 percent) if the player uses optimal strategy. 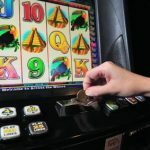 These machines are few and far between, but smart gamblers seek them out, even if they do require huge bankrolls – usually several thousand units – in order to have a risk of ruin of less than 5 percent. Another possibility is to seek out opportunities where certain games are temporarily beatable for the player, either in live casinos or on the Internet. These opportunities are often tied to jackpots, though a few other possibilities also exist for smart players. For the most part, you wouldn’t see slot machines on a list of the safest or most profitable games. But this can all change when a large progressive jackpot is present on a machine. The actual size of the jackpot isn’t the important factor here: you’re looking for a jackpot that is much larger than usual for that machine. As the jackpot grows, so does the player’s expected return. You’re no more likely to win the jackpot, but the fact that it is so much larger tilts the overall odds towards the player, making the machine a better deal for you. This tip can also apply to many table games that offer jackpots, like Caribbean Stud Poker. Few things beat the rush of winning a nice jackpot on a slot machine. There’s another option for slots players in live casinos. Some machines have features that build up over time, taking the machine into states where the payouts become bigger or more frequent. Unlike bonus rounds, it’s still possible for the player to lose during these periods, so you might see an unwitting player walk away from a machine while in one of these higher-paying situations. If you see a machine in such a state, it’s well worth your time to jump on it and take advantage while you still can. 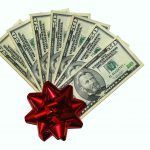 Another easy way to reduce your risk of losing money in any casino game is to take advantage of casino promotions. Whether that means getting free spins at your favorite online casino, earning bonus money from a deposit, or using match play coupons at a live casino, these promotions all reduce your risk of losing while still giving you a shot at winning real money. Welcome or rebuy bonuses online – while generally coming with a few more caveats before you can use them and sometimes doled out in smaller increments – are essentially the same concept, and extend your bankroll, and thus your potential play time, overall. Baccarat: Simply bet on the banker every time, and you’ll enjoy a low house edge of just 1.06 percent – no special strategies required. Craps: This one is almost as easy. If you bet on Pass or Don’t Pass, the house edge is around 1.4 percent. But combine that with taking the odds (or laying the odds, in the case of Don’t Pass) for the maximum, and the combined house edge falls well below 1 percent. Blackjack: You don’t need to count cards to make blackjack a great deal for you. Just print out a basic strategy card for the rules being used at your casino (or memorize it), and by utilizing that strategy, you’ll be playing with a house edge that could be less that 0.5 percent. Video Poker: Using the same technique as for blackjack above, on some machines and using the proper strategy, can cut the house edge to 0.1 percent or less – or even give you a slight edge. Pai Gow Poker: This game is harder to play than the above options, but it’s a lot of fun and is played at a relatively slow pace. This is also a game where you’ll be pushing with the dealer on a large number of hands, meaning that your money is likely to last for a very long time even on a small bankroll. When you get right down to it, there’s no shortage of ways to reduce your risk of losing when you play at a casino. Whether you want to take up a game professionally, be as opportunistic as possible with jackpots and promotions, or simply look to play it safe by finding games with low house edges, there’s something in the casino for you. Best of luck at the tables! Next Being a Casino Dealer: Dream Job or Nightmare? 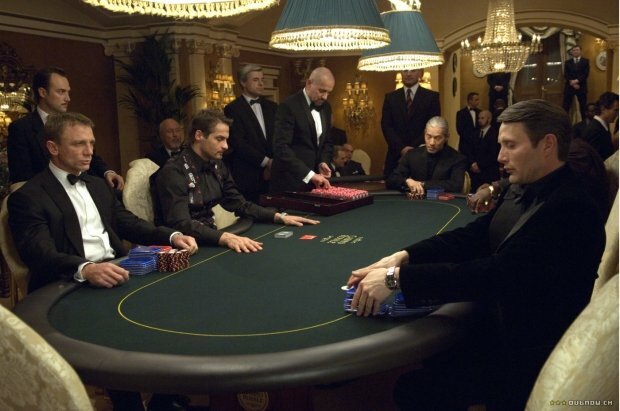 Setting Betting Limits: Should You, the Casino, or the Government?